Founded in 2006, Sport 4 Life UK is a youth charity that believes in a level playing field where every young person has the opportunity to create a better future for themselves. We are proud to create better futures for young people aged 12 to 29 by improving their employability and key life skills, through our sports-themed personal development programmes. We deliver two key programme to give young people a helping a hand in creating better futures. A personal development programme for socially excluded young people 12 to 16 year olds. This initiative is designed to prevent young people becoming NEET in the future. It is a proactive and strategic intervention, tackling the issue of youth unemployment at source, by providing accredited qualifications and developing life skills. An employability and personal development programme for 16 to 29 year olds who are NEET. This initiative focuses in developing young people’s employability and key life skills. It provides them with support to progress into sustained education, employment, or training. "I couldn't talk or socialise with people. I was so quiet and shy which made it so difficult to find a job which was really frustrating. 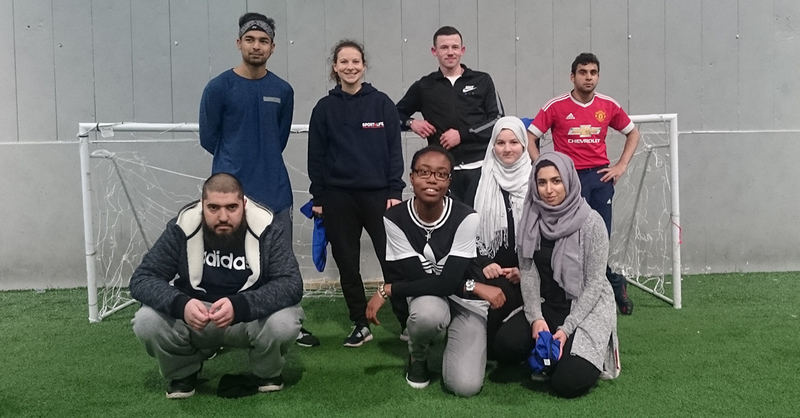 Sport 4 Life helped me improve my confidence, gain qualifications, and thanks to the staff, I was able to get a job"